I'll be perfectly honest with you: I had never heard of Grip before seeing it on the itinerary for my trip to Norway. I couldn't find a ton about it online, and when I asked Norwegians about it, very few had made the trip themselves. Which of course piqued my interest and made me pretty excited to go. 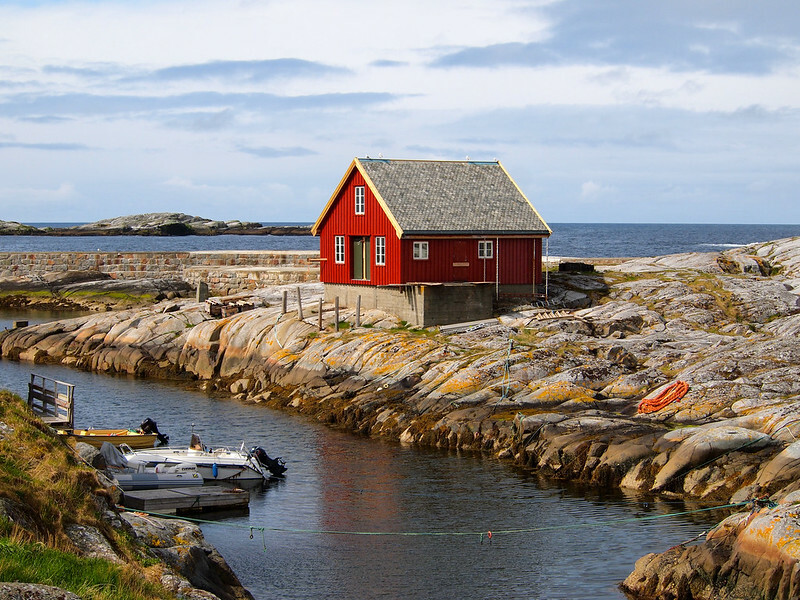 Grip, in case you've never heard of it either, is a small archipelago in the Norwegian Sea located about 14 kilometers from the city of Kristiansund. 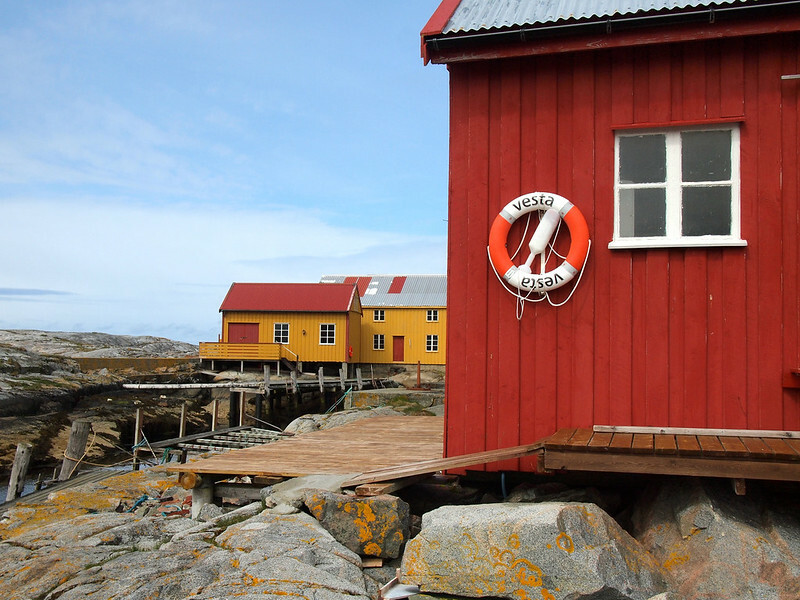 Of the dozens of small islands and spits of rock that make up the archipelago, Gripholmen is the only island that's habitable — and it's been inhabited since the 1400s. Fishing was what brought people to Grip hundreds of years ago. 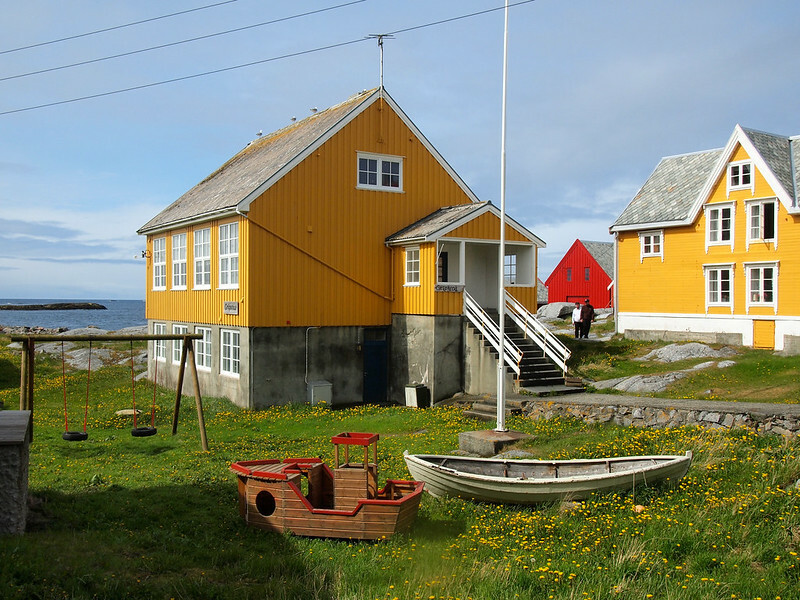 At its height, up to 2,000 fishermen could be found on the tiny island of Gripholmen during the cod fishing season (though the full-time population was usually only a couple hundred people). Today, nobody lives permanently on the island. 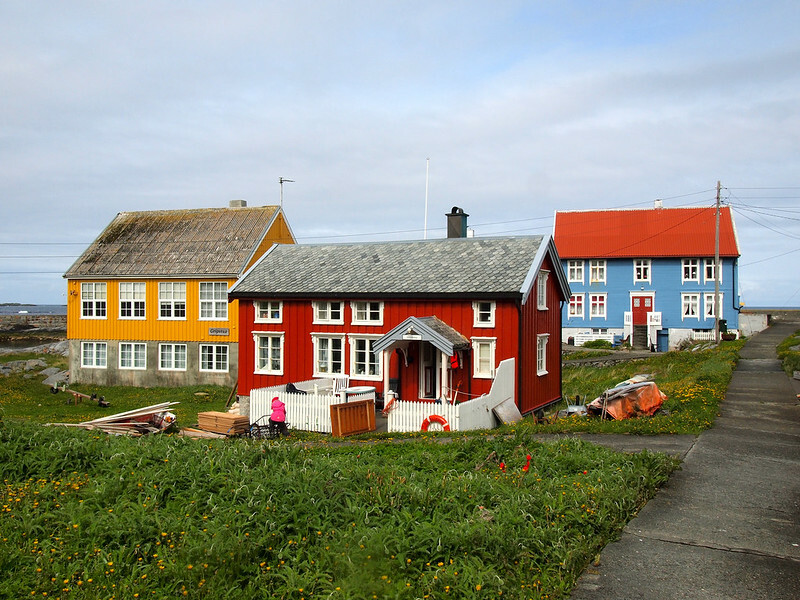 After devastating storm surges and centralization following WWII, the population whittled down until 1974, when the last residents left the island for good and headed for the mainland. But that doesn't mean that Gripholmen is deserted. 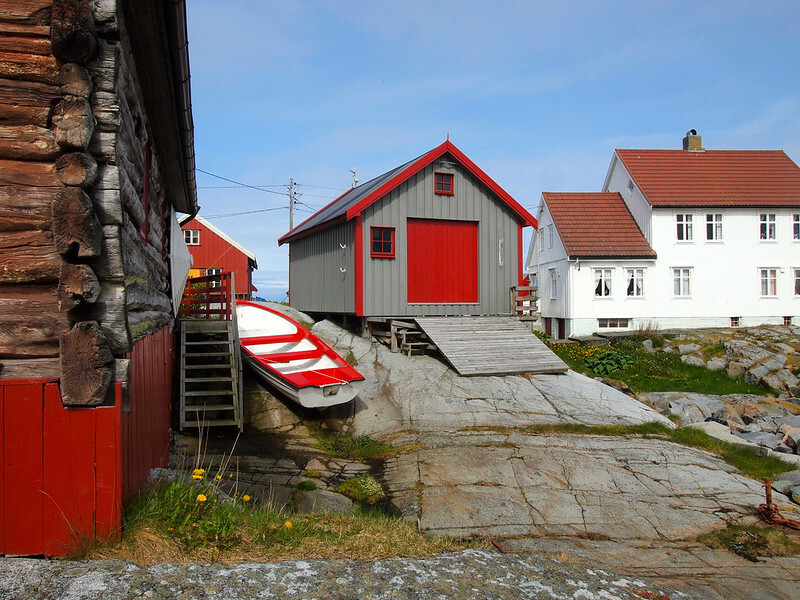 Today, the old colorful houses of Grip are used as summer homes by former residents and their descendants from Kristiansund. And the island is a popular half-day trip for tourists. 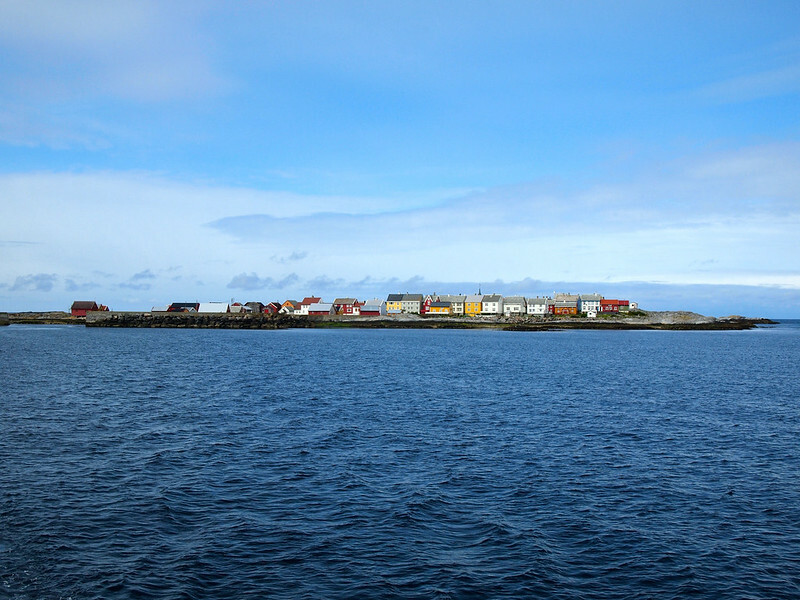 I visited Gripholmen on a blustery May afternoon at the beginning of the tourist season. It was raining when our nearly-empty boat left Kristiansund, but luckily the weather away from the mountains and fjords was much kinder. It took about 45 minutes to get to Gripholmen from Kristiansund, and then we had about an hour and a half to roam around the island on our own (ideally I think you're supposed to get a guided tour, but that didn't happen on my trip). Gripholmen is small. Like, really small. You can basically walk from one end to the other in under 15 minutes. But that's part of what made it so fascinating – I can't imagine actually living somewhere so small and remote full-time! Even though there are many more modern conveniences on the island now than there would have been 200 years ago (like generators to supply electricity for about 16 hours per day), there's still no fresh water on the island – holiday makers have to collect rain water for drinking and flush their toilets with salt water. Even now, visiting Grip is a little bit like stepping back in time. There were a few other people on the island when I was there, most of them mowing lawns and getting their summer homes ready for the season. I felt a little bit odd roaming around and taking photos, but the island was too pretty not to. Even though Gripholmen is small, there are still quite a few points of interest. 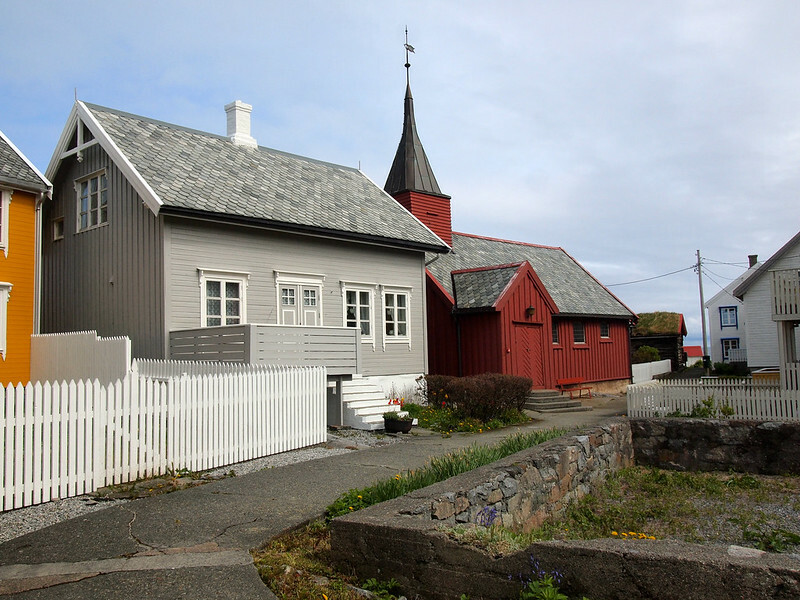 The Stave Church — Dating back to the late 1400s, Grip's wooden stave church survived all the storm surges and is now one of the major things to see on the island. The Grip Lighthouse — You can't actually visit the lighthouse itself, but you can see it from one end of Gripholmen. The 47-meter (154-foot) tall lighthouse was built between 1885 and 1888 and is one of the tallest lighthouses in Norway. 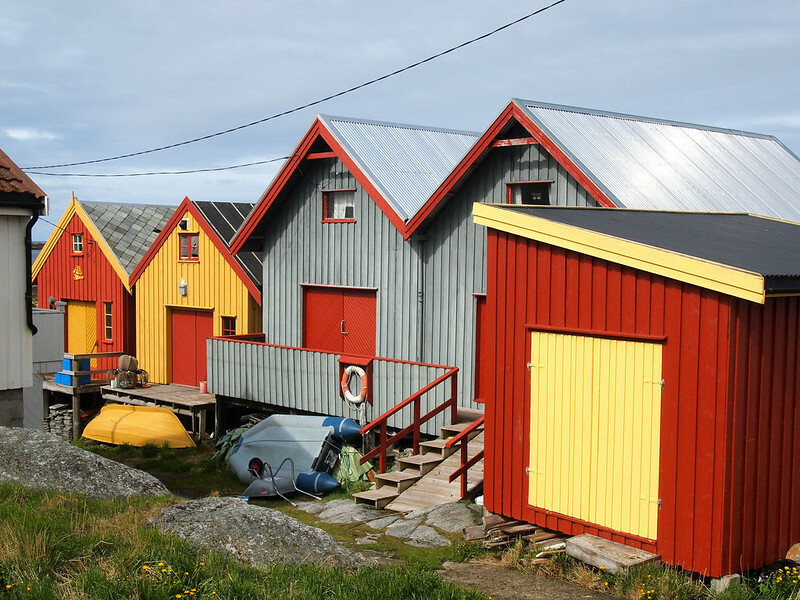 The colorful houses — My favorite part of wandering around Grip was definitely the houses. 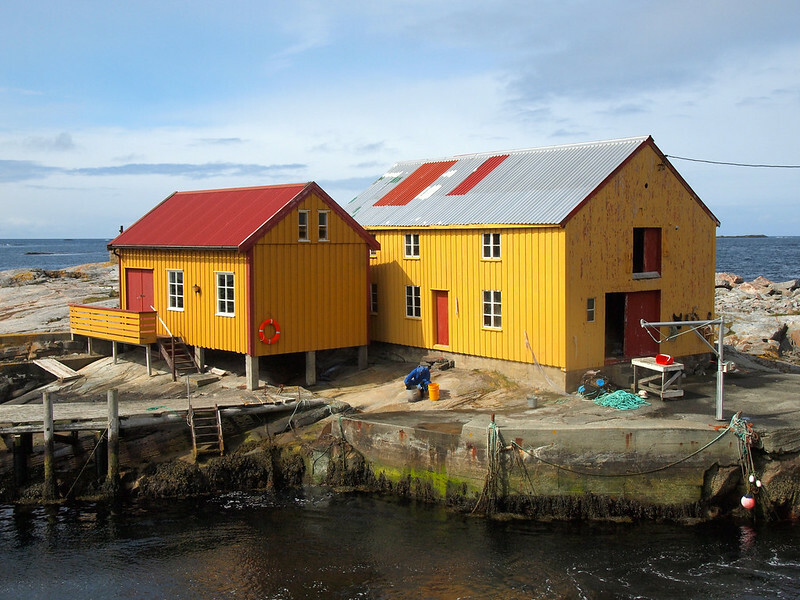 Painted in bright shades of yellow, blue, and red, the houses made for some great photos. This trip is exactly what I love about traveling (and a bonus of working with a tourism board that knows the coolest places to see) – discovering places that's I've never even heard of before and getting to share them with you! I went to Gripholmen with Visit Grip. 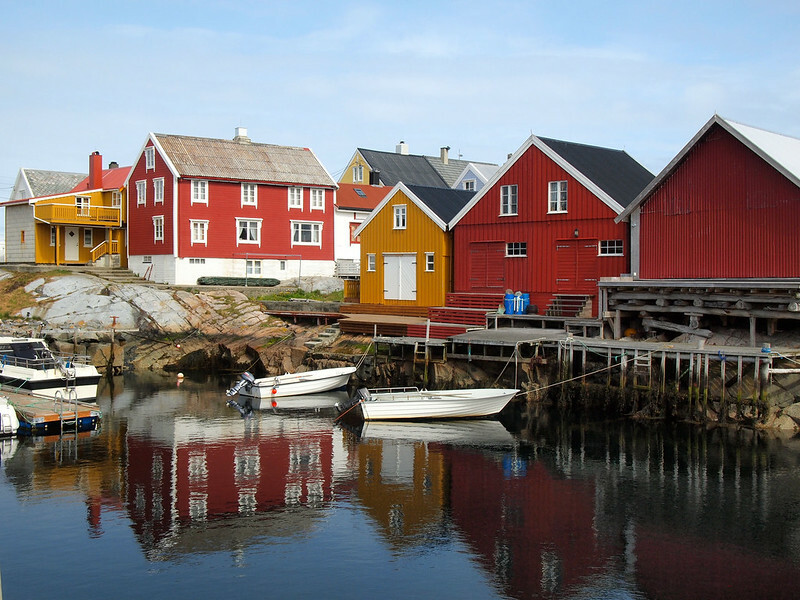 Prices are 320 NOK (just under $40 roundtrip) per adult for the round-trip boat ride and some time on Gripholmen. You can either book ahead or just pay when you board. The ride to Grip is about 40-45 minutes, and then you'll have about 1.5 hours on the island. (Total tour time from Kristiansund and back is about 3 hours). Boats run between May and August, with up to two departures per day (usually 10:30 a.m. and 1:30 pm.) during high season. Would YOU want to spend some time exploring Grip during a trip to Norway? *Note: Thanks to Fjord Norway and Visit Grip for hosting me during my trip! As always, opinions are 100% my own. It’s crazy to think about living on an island with no restaurants, bars, entertainment, etc! 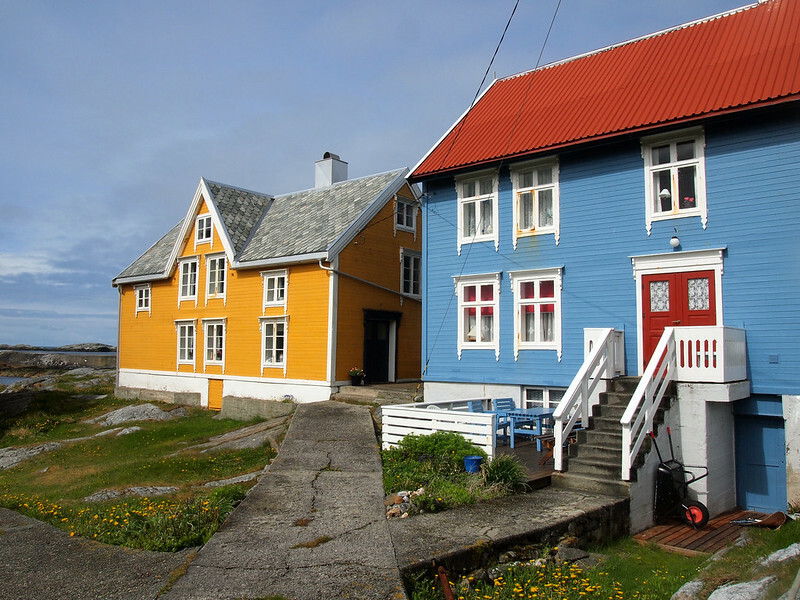 The colored houses are really beautiful though. I know! I definitely could not imagine living there full-time. Although, having a summer home out there to escape to on the weekends? THAT could be nice. What a gorgeous place! Could never live there but love all the colourful houses and it seems like it’d be a great place to escape for the weekend! It was so cute and colorful. I couldn’t live there, but I’m really glad I got to visit! Last time I was in Norway in 2013, my host sister and I tried to go but the sea weather was too bad for the boats to leave. I was so sad. Next visit to my sister and we will go. You’re right – definitely too pretty not to take photos. I love all the bright colours. One of the things that makes me so desperate to visit Norway. Well, that and a crazy love of all remote and out-of-the-way places. Would love to visit Grip! Not sure how I’d cope living there – though it would be an interesting challenge to myself. Sounds like you definitely would love Norway. It’s so much fun to be taken back there as I’m writing these posts – it certainly did leave an impression on me! I’d definitely like to visit Grip. The colorful houses would be my bait. They look so gorgeous! 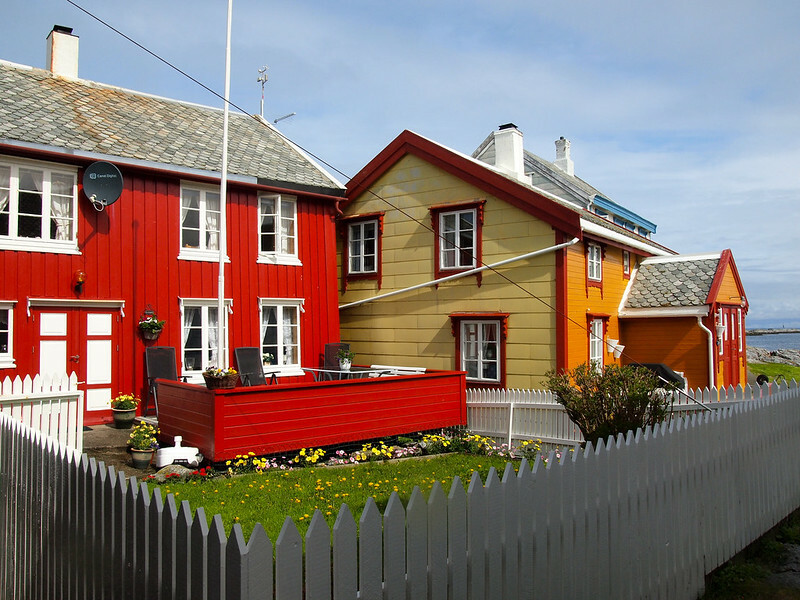 Yup, seeing photos of the colorful houses before I went definitely got me excited about going! I would highly recommend it! Norway is awesome and the people are so nice! 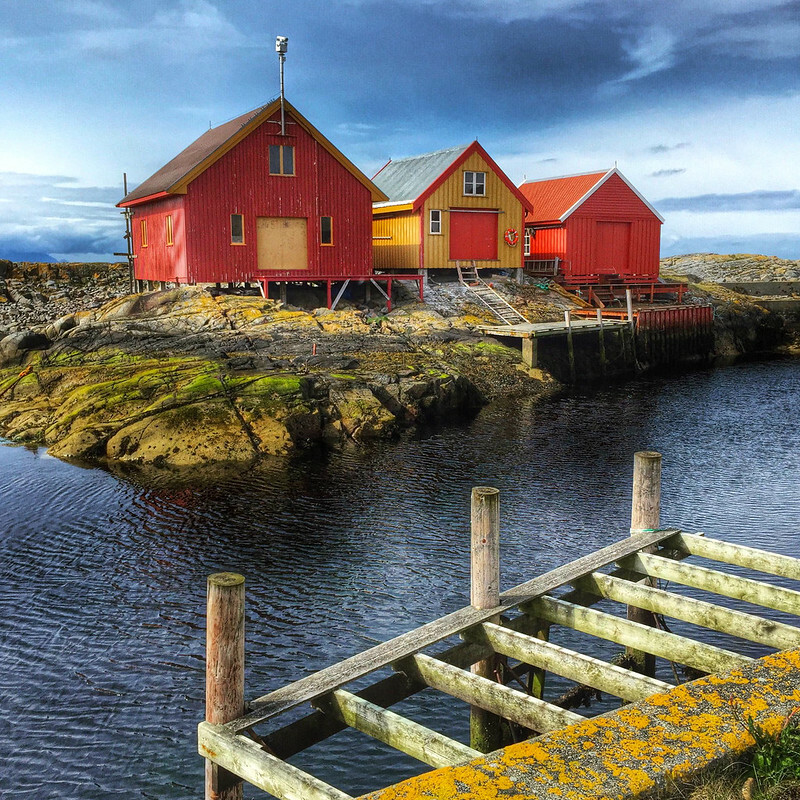 Wow the nature is amazing and I love these beautiful colored houses. Thanks for sharing these photos! Thanks for checking the post out! What a fascinating little spot! I’ve never heard of Grip before, either, but now I’d love to see it. Actually, I’d like to do a home stay with one of the families there to see how they actually live! How cool would that be? That would be very cool! I read somewhere that there IS a bed and breakfast on the island – but I haven’t really been able to find out much about it online, so I’m not sure if it’s really there or not! I’m thinking of going to Norway next month and I stumbled upon this post. Very useful! This sounds like such an interesting place to visit. Look at all that color!!! SUCH a colorful place! 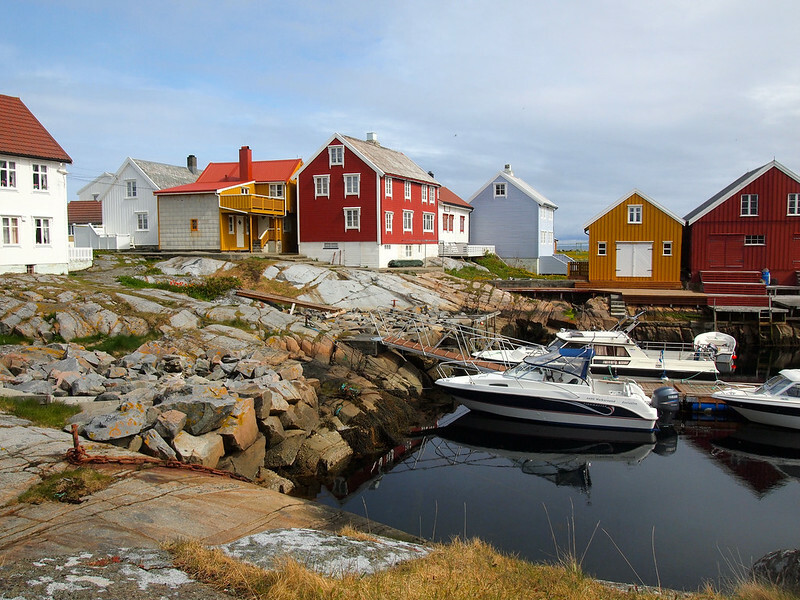 I can highly recommend Norway – the whole country is amazing! Grip looks really nice but then most of the remote islands in Northern Europe look pretty romantic. Having said that, it’s still so nice to see how people used to live and getting some peace and quiet without the distraction of modern-day living can sometimes be quite the ticket to appreciating the good things in life and how well we have things today. p.s. I love the photos of the painted pretty little houses Amanda. Quite charming! It was definitely a charming place, and I can imagine it gets pretty lively on summer weekends when all the families are there enjoying their holiday homes. 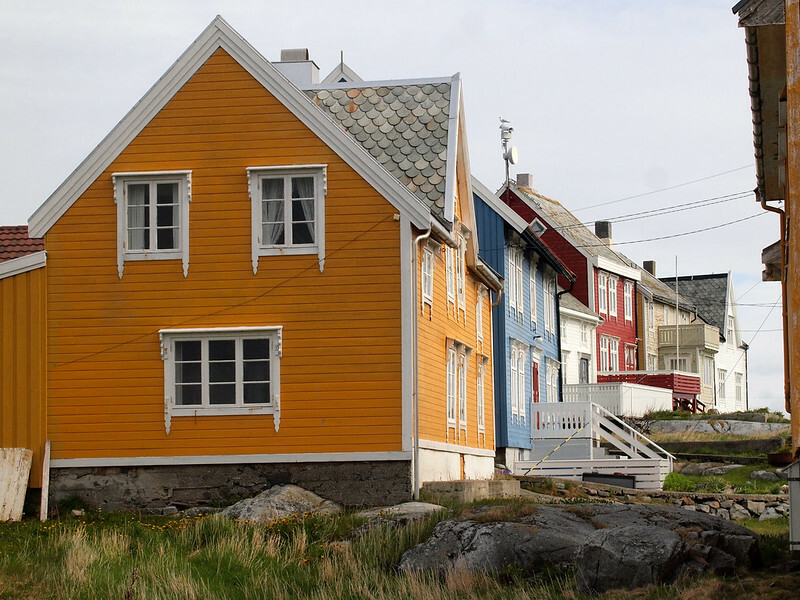 I love these colourful houses! So picturesque, and SO SO Scandinavian. Yup, doesn’t get much more Scandinavian than this! How beautiful and colorful! I’ve never heard of Grip, but now I’d love to go! The pictures remind me a bit of what I imagine Greenland must look like. Same here! 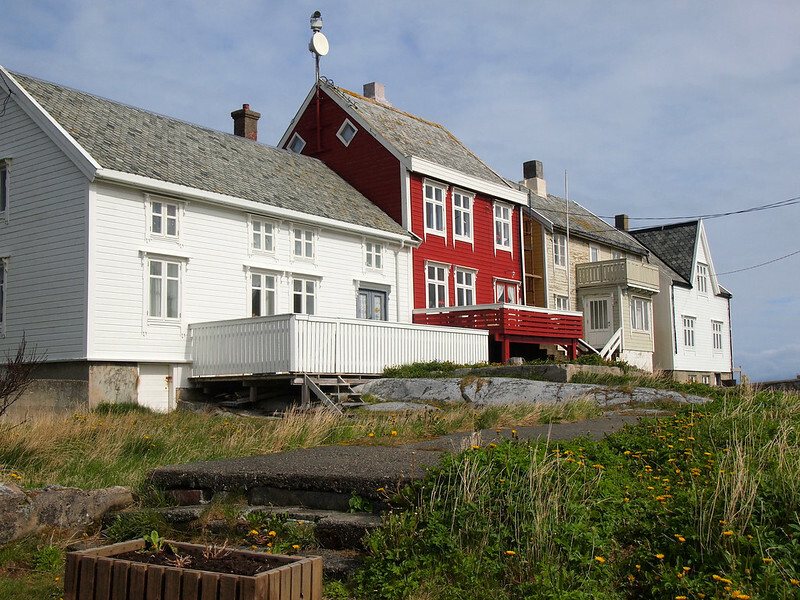 I haven’t been to Greenland, but the houses definitely remind me of photos I’ve seen! I’d never heard of Grip either despite going to Norway twice! This showed me (if needed be) that I still have so much of the country to discover… I always find it fascinating when people choose to live in such isolation – I know it’s the ultimate dream to some, but it would drive me crazy! It would pretty much drive me crazy, too! Though I suppose getting away for a weekend wouldn’t be so bad. You should check it out next time you’re in Norway! 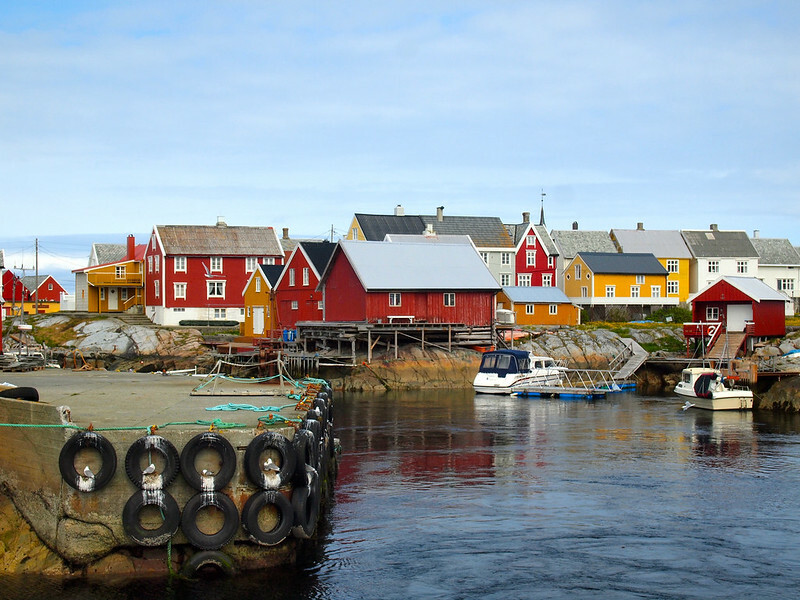 What a colorful, calm, lovely fishing village! It makes me remember the Peggy’s Cove here in Canada, but more colorful. Really love this one! Thank you Amanda for sharing! Yes, it totally does feel a bit like Peggy’s Cove (which I also really love)! 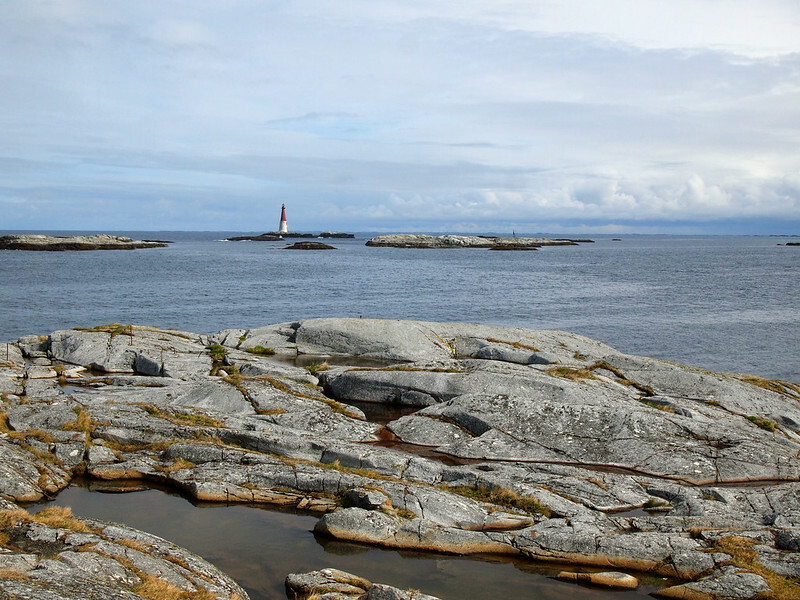 Actually, Grip lighthouse is the tallest one in Norway. Thanks for such a review of Grip. My father have a house there (he grew up on the island), and it`s very nice living there during the summer. I imagine it must be a lovely place to spend the weekend when the weather’s nice! I’ve never seen Grip look so beautiful. You really did it justice with your photos! I live in Kristiansund, and I’ve been out to Grip a couple of times. Hope you had a lovely time! Thanks Mariell! It’s a very pretty place! My parents found your website and were thrilled to see pictures of Grip where my great-grandfather had lived. When he left Grip and went to the United States (where he settled in Wisconsin), he took “Grip” as his last name. Thank you for posting these wonderful photos and providing our family with a virtual visit. I’m so happy to be able to do that! These are my favorite kinds of comments. 🙂 Maybe one day you’ll be able to visit Grip for yourself! My Grandfather (Anton Grip, my mother’s father) immigrated from Grip Island (hence his last name) in the very early 1900’s. I have never been to Norway and at 76 may not get there. The pictures are indeed wonderful to peruse. Thank you. So happy to be able to “take” you there in photos, Earl.